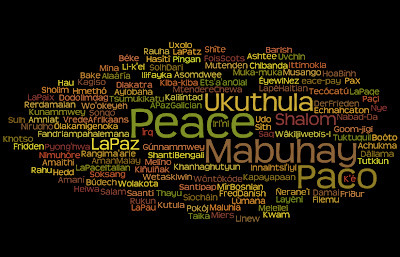 Here's the link for this word cloud I created using Wordle. Thanks to @Journeywoman (Evelyn Hannon) who linked to this blog post by bloggerjb. 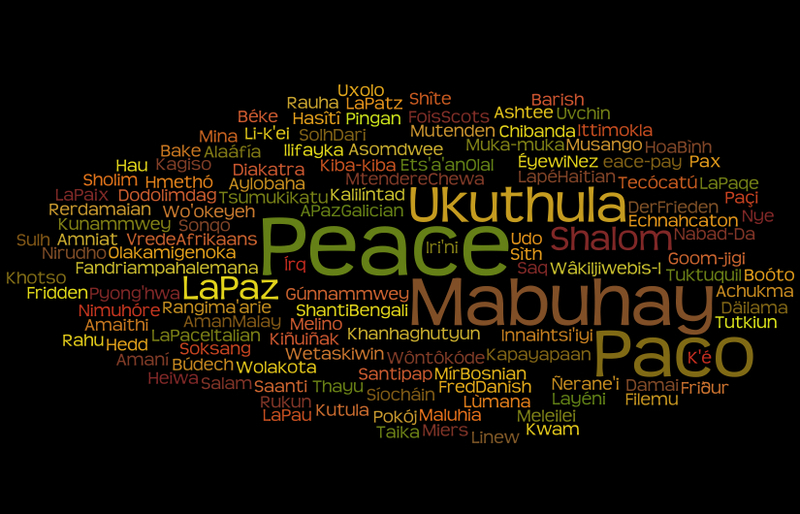 The list of different ways of saying "peace" was the inspiration for this visualization. Thanks for visiting my blog. You can also follow me on Twitter: @albertwisco. Have a peace-filled 2011!